Saw Greg Bond had a horse in at GP Friday. Did he sneak back in and no one noticed? KTQ;;; There was two Friday night phantasmagoria episodes ? PINJARRA ; See the highly promising golden slipper winner from last year jack mac, makes a return seems a very solid boy on the replays, not that big but when lewis lets him rip doesn't he rip. to short to play.. 6 from 6 in aus. What a strange comment, Well Done ? Marko dead right terrible display looks the voak trains throttle has got stuck in reverse, lost 80 m in150 metres hasn't been logged as sore or fibrillated in stewards report..wonders never cease. savethegame, Markovina likes this post. A compliment is now a strange comment. Goosey Goosey obviously you have been having a gander at that cleavage for far too long. Purdon terrible unlucky start to 2018, with lazarus, & ultimate machette ....Vincent the horse the stable had waiting in the wings.....has succumbed to a suspensory injury and nine months out.. as well,. They are way too big for me Goose. Interesting comment, Bill Collins ? Paint the picture, remember his early crow, Kingston Town cannot win. Not sure where it says they cannot have an opinion,-just like you on what he thinks is possibly going to evolve. 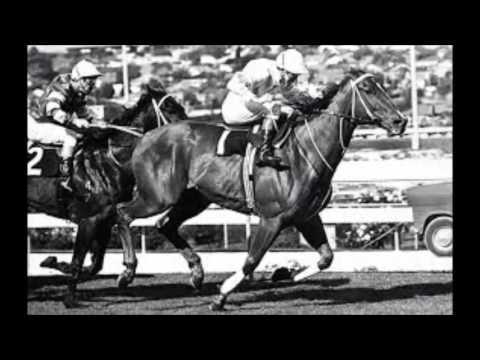 I tried finding the Cox Plate video but found this radio call instead, race before Cox, Bill Collins declaring one at the 100m, whoopsy ran 3rd. That painted a real good picture Marko ? fast forward to 0.57. Just goes to show TAB.Com will let you on for plenty - after my bet - they did the old Bill Waterhouse trick - turned it out to $101 !!! But absolutely love how you Put your balls on the line. No one else on this forum will do what you do and throw up $50 plus winners and the reason behind it. Love ya work. I had 10/10 on just in case, as I remember 12 odd months ago you through one out at Albany ??? maybe. SPRINT LANE LOVERS; Race 1 at Stawell Aus. day.. driver Les. McLEOD he reckons there alright as well he used it a lap early.. Someone needs to tap poor old Les on the shoulder and whisper " Les...give it away mate....you have got absolutely no fkn idea ". Funniest thing was he wouldn't go down into the lane on the last lap and pulled his horse off its feet trying to steer up the track...then got in the road of the 3 horse for the third time in the race. Gee...he owes Laurie Young and Aaron Dunn the trainer and driver of Allawart Bob a beer or two after that effort. Talk about terrorists on Australia Day. Oh good, after watching that, I don't feel so bad about spending 15 minutes looking for easter eggs in the garden this morning. Seriously, how come it wasn't disqualified...it has run 5th, earned stakemoney...surely it must be excluded??? JayJay, savethegame likes this post.